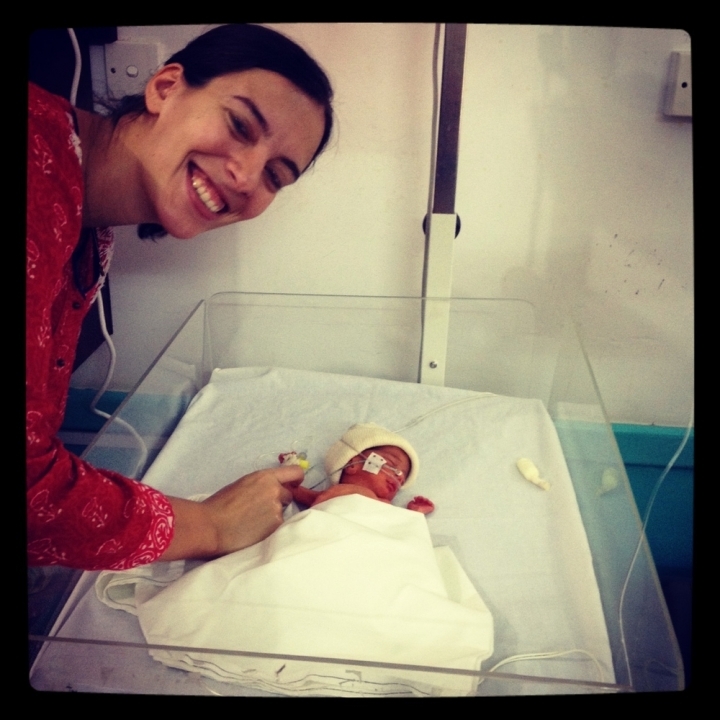 From July to December 2014, Dr Yasmine Ley headed up the neonatal unit at MSF’s obstetrics and gynaecology hospital in Peshawar, northern Pakistan. Here she recounts the story of Irfan, father of a newborn baby. Her father hadn’t whispered Allah’s name at her birth*. He did it on the twenty-fifth day, when we were absolutely sure she would live, without any long-term repercussions. It was a big moment for all of us." Dr Yasmine Ley speaks about this unforgettable case. In her soft, precise manner, she recounts the story. Swiftly the medical team organised the best care treatment for the infant. "We did a blood transfusion and kept her warm." Fortunately, the baby responded well. “She wanted to live," Yasmine explains. But she wasn't out of the woods yet. “After two weeks she started to suffer from apnoea. So I spent a whole afternoon at her bedside, waking her up each time she stopped breathing. It was a difficult time for her family and for us.” The mother, who had other children at home, remained at her baby’s side in the maternity unit for two months. And then, one cold sunny day in November, Irfan was able to take his wife home with their daughter, whose weight had bulked up to 1.6 kilos. And her dad whispered the name of Allah in her ear and gave her a name. Every year in Pakistan thousands of infants are born very premature and die due to lack of appropriate care or lack of medical facilities available to the family. In more remote regions, mothers are sometimes forced to walk several hours to reach a health centre. In winter, the cold and snow make matters even worse. Serious complications also arise after oxytocin is administered, a hormone used to stimulate contractions of the uterus and quicken labour which can be mixed with diezapam, an anxiolytic, to relax women giving birth. The problem is that it literally stops newborns from breathing. “So after birth we end up admitting infants who have already been in respiratory distress for several hours. Owing to a lack of oxygen, they suffer from irreversible sequelae and many don’t survive,” Yasmine explains. It was my first mission with Médecins Sans Frontières/Doctors Without Borders (MSF) and that was the most difficult aspect to live with. As medical personnel, we are there to provide care, save lives, not lose them. Fortunately we have a fantastic team. Four doctors, eight nurses and eight midwives rotate around the clock to give patients bedside care. "Our priorities are to place mothers and at-risk newborns under continuous observation during the 24 hours following delivery and ensure impeccable hygiene. And through our rigorous approach and methods we have saved lots of lives," Yasmine tells us. Innovation has also come into play. For instance MSF has authorised, in some cases, fathers to visit this women's hospital, the effect of which is fewer women leaving hospital against medical advice. "In Pakistan, not only do women have lots of children, seven or eight for some mothers, but in addition to problems with premature births, there are often multiple births too. For example we saw three sets of triplets born in one month, all delivered naturally.Unfortunately, we had one woman whose infants we were unable to save. They must have been around thirty weeks, they were too tiny, their lungs not properly formed," Yasmine describes. Due to poor medical records and care given during pregnancy the medical teams do not always know the exact age of mothers or newborns. This is particularly the case for people living in the country's tribal areas. Many patients are referred by MSF's hospital in Hangu, located two or three hours away by road, which does not have a neonatal care unit. “One day, a woman gave birth to twins, a boy and a girl each weighing in at barely a kilo,” Yasmine recounts. *The custom is for the father or a respected member of the local community to whisper the azan in the baby’s right ear. This prayer includes the name of Allah, the Creator of the universe, and is followed by the declaration of faith: There is no God but Allah and Muhammad is the Messenger of Allah. MSF has managed an obstetrics and gynaecology with 30 beds in Peshawar since May 2011. The neonatal unit now has 15 beds to admit newborns with serious medical complications. The care provided by MSF is totally free. While there are numerous private maternity hospitals in the district of Peshawar, specialised obstetrics units are very difficult to access for the most vulnerable women (refugees, displaced, destitute) or women from FATA (Federally Administered Tribal Areas). Access to public facilities can be prohibitively expensive or of poor quality. In 2013, 374 newborns and 3,717 women were admitted to MSF's Peshawar hospital, 40% of whom presented complications related to pregnancy. 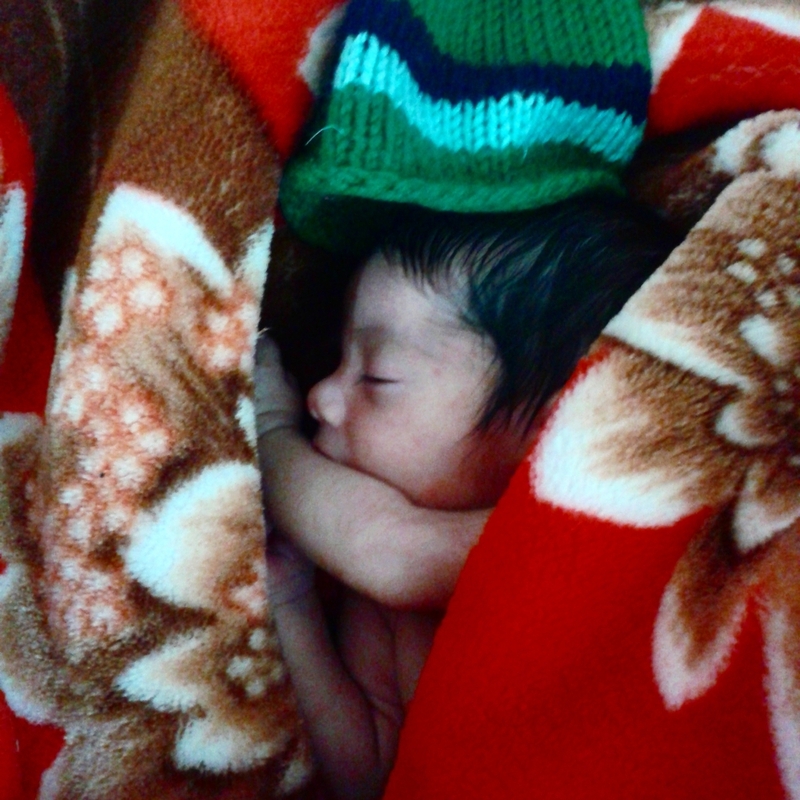 Each week, the team helped deliver an average of 62 babies (double the 2012 figure), including 10 by caesarean. The maternal mortality rate is around 276 for 100,000 live births in Pakistan, compared to 9 out of 100,000 in France. Nearly one child in ten dies before its fifth birthday, the majority of deaths caused by diarrhoea, pneumonia and illness for which a vaccine exists.